When you’re short of time it can be hard to keep on top of the daily gardening tasks and sometimes even the smallest of things can be left by the wayside. However, sometimes is it these small garden maintenance tasks that have the biggest of impacts on the health of your garden, making it either lush and green or wilting and faded. Watering and feeding your lawn, flowerbeds and pots is just one of those jobs that shouldn’t be forgotten and can have a huge impact on the success of your garden bloom. Over the long summer months grass can become dehydrated and bare and without proper lawn maintenance it can become a real eyesore in any garden. So if you want to keep your lawn looking its best and water isn’t an issue then watering your soil once a week should keep it looking great. For the best effect, grass should not be allowed to turn brown and soil should be thoroughly drenched. If there is a water shortage then a little TLC after the summer will go a long way to ensure that it comes back rejuvenated and full of life. Fertilizer should be used during the spring months to help the lawn to gain strength and colour. For best results, lawn feeding should be completed in cooler conditions and when the soil is a little moist to ensure it really gets to work. Re-application can be completed over the summer months to help a fading or over-used lawn. 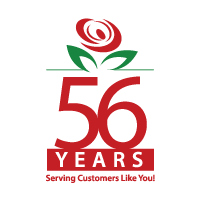 If you want your flowers to bloom during the spring and summer months it is important that they are watered and fed regularly to avoid an early doom. During dry spells, flowerbeds should be watered well at least once a week, ensuring that the soil is thoroughly drenched so water can reach the roots. Plants close to the walls should receive extra care to ensure that they can access the water that they need, while slow release fertilisers can also be used to give your flowers the nutrients that they so desperately need. Remember that deadheading your flowers can help to encourage re-blooming and can help other flowers on the plant to stay in bloom. 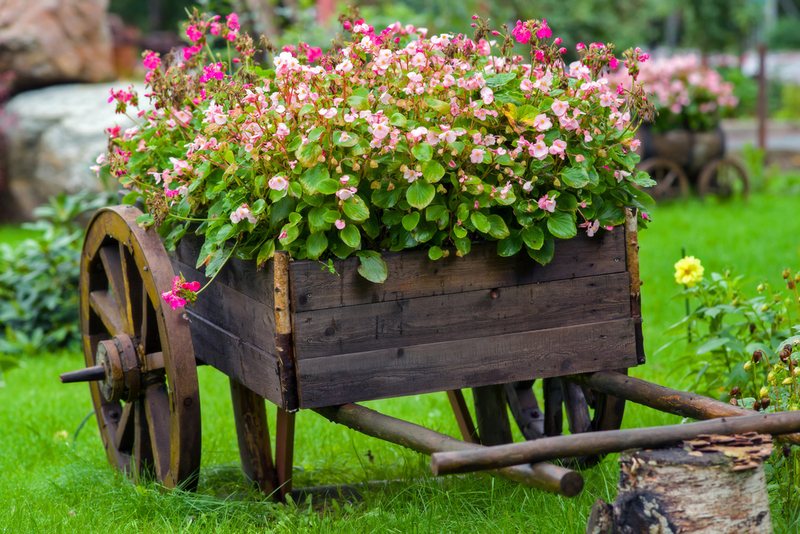 Hanging baskets and container plants need careful attention if they are to survive and should be tended to on a daily basis during the hottest summer days. As there is limited soil for the plants to draw water and nutrients from it should be kept moist and not allowed to dry out. 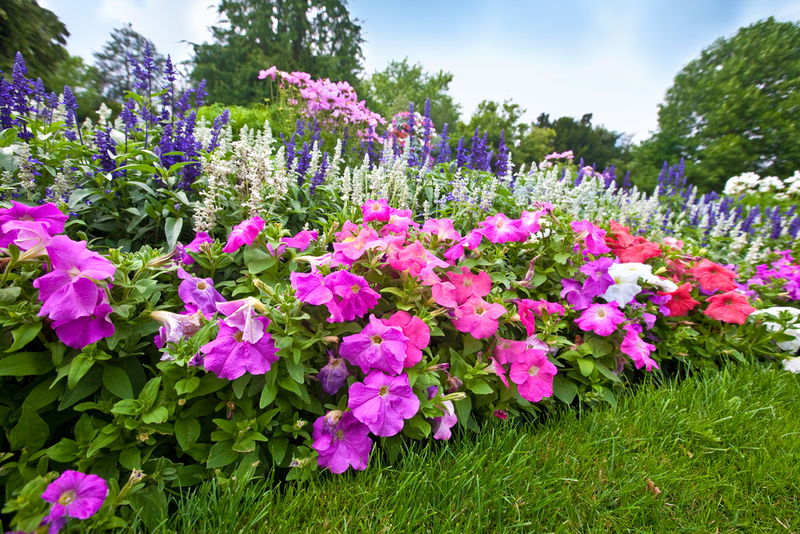 Daily watering may be necessary during hot days, while a nutrient-rich fertilizer can help to keep them in bloom. During the winter months, baskets and pots should be moved into sheltered spots or into a greenhouse where available, with extra insulation provided for those that are staying out. Weeds should also be monitored regularly to stop them from starving your flowers from the nutrients in the soil, with manual weed control a simple and effective method. So if you have an urban city pad with chic potted and container plants then be prepared to take five minutes to water them every day when it’s sunny. 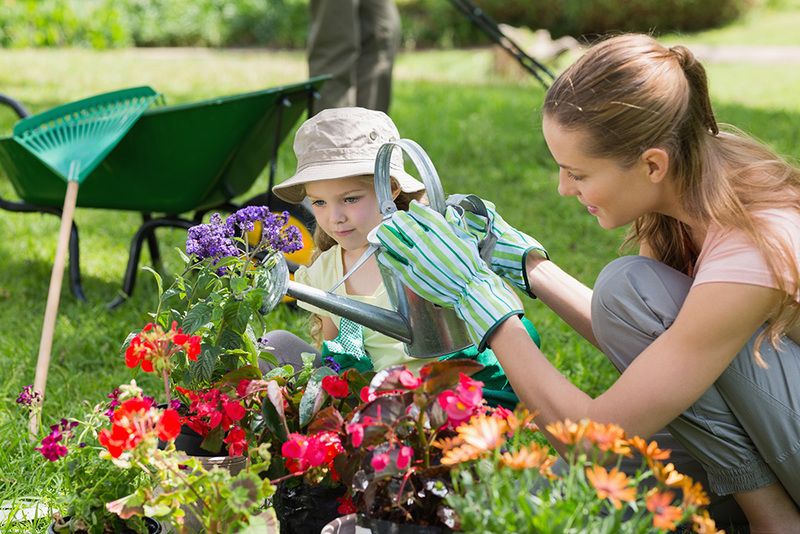 Lawns and flowerbeds need less regular watering and feeding though they can be time consuming to plant, weed and mow. If you’re going away during the summer then try to get a friend or neighbour to pop round and water your garden maintenance while you’re away. But if there isn’t anyone you can ask then there are plenty of gardening professionals who run summer services who can help you out for as long as you need.